Occupational Therapy helps people to achieve independence and success with their daily life tasks. For children this focus is on helping children with skills for playing, learning and self-care. Emma is an Occupational Therapist who enjoys working collaboratively with her clients and their families to understand their challenges and find therapeutic solutions that fit with the child, their daily activities and their environment. She has worked with children since 2002 in both early intervention and primary school roles as well as working with Disability and Health Services, Education and Not-For-Profit Charities across multiple Australian states. 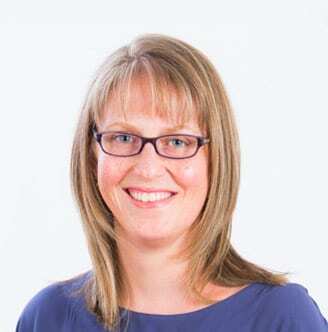 Emma is passionate about helping children who experience challenges in regulation and connecting with others – leading her to specialise in working with children with ASD for the past decade. She has also attended advanced training in conducting the ADOS-2 assessments to assist in the diagnosis of children with ASD. Emma has extensive experience working as part of a developmental assessment team evaluating both child development and behavioural challenges. Emma is skilled in play-based assessment and can administer a range of standardised assessments, including sensory assessments, when required. Understanding the importance of family-centred therapy, Emma provides individualized, practical strategies to help achieve goals in everyday life. She works part-time from the North Lakes offices of Paeds in a pod. Outside of work Emma enjoys spending time with her two children, family, friends and getting outdoors in the natural environment when she can.